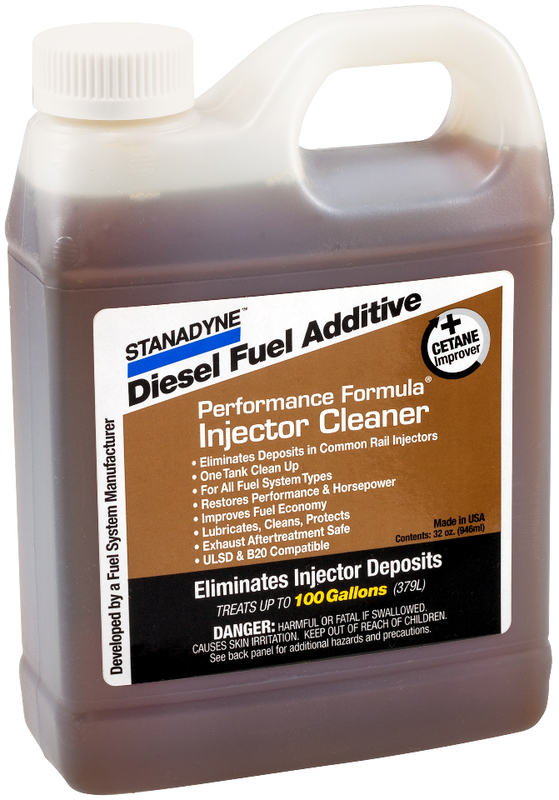 Stanadyne Performance Formula Diesel Injector Cleaner | 32 ounce Jug | # 43566 | Diamond Diesel & Turbo Service, Inc. Shipping Restrictions: This product can only be shipped GROUND Freight! California Prop 65 Warning: This product contains and can expose you to the chemicals Propylene oxide, Ethylene oxide, Methanol for which the State of California has found to cause cancer, birth defects or other reproductive harm. 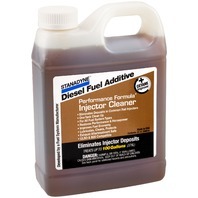 -> 1 - 32oz Bottle of Diesel Injector Cleaner. -> One bottle treats 100 gallons of diesel fuel. Stanadyne Performance Formula Injector Cleaner is formulated to prevent and eliminate Internal Diesel Injector Deposits (IDID) commonly found in Common Rail and other type of Injectors. These deposits affect injector performance, which results in various engine related issues. Performance Formula Injector Cleaner is a “One Tank” Clean-Up of concentrated detergents designed to eliminate & prevent internal and external deposits from forming on injectors. The result is restored Engine Performance, Increased Horsepower, and Improved Fuel Economy.